Home made shampoos have always made me a little leery. I tried the no-poo method… about 2 years ago, at the beginning of my journey to live a healthier, less toxic life, but it didn’t go so well for me. I tried washing my hair with an apple cider vinegar rinse and some baking soda, and I was left with greasy-looking hair. I stuck it out for 3 solid weeks, but I finally had to give it up. Now, I am not discounting that method. I know a lot of wonderful, beautiful people who are no-poo, who have glorious-looking hair. Little Owl Crunchy Momma has been getting a lot of attention lately for her decision to not use shampoo at all, for 5 years now, and her hair looks great! I admire women who go no-poo. I think it’s awesome. 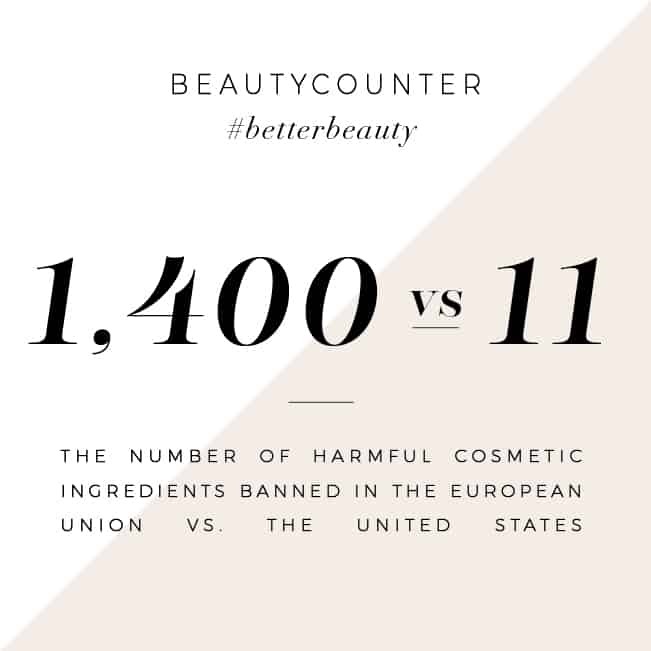 However, just like the Oil Cleansing Method, not every natural recipe is for everyone. I still wanted to find a healthier home made shampoo that actually worked, so I wouldn’t be completely dependent on commercial brands. Combine all ingredients in a re-purposed shampoo bottle, or a soap dispenser. Old dressing bottles also work 🙂 Shake before each use, (because, as you can tell, it will separate) and use as you would regular shampoo. Carrot Oil: A little goes a long way. Add in 5 drops of this for carotene and anti-oxidants, and to promote hair growth. Clary Sage Oil: this helps to promote a healthy ph value, and can be helpful for greasy hair and scalp. Bergamot Oil: This helps your hair attain extra shine and promotes hair growth. This can increase photo sensitivity, so be careful to protect your hair from bright sun after using it. Lemon Essential Oil: For dry, curly hair, try adding in lemon essential oil. It helps promote oil production to moisturize and create stronger, healthier hair. Lavender Essential Oil: Add in lavender essential oil for treating dandruff and for a relaxing, peaceful experience. If you are new to using essential oils, check out Crunchy Betty’s 21 things you should know about essential oils. 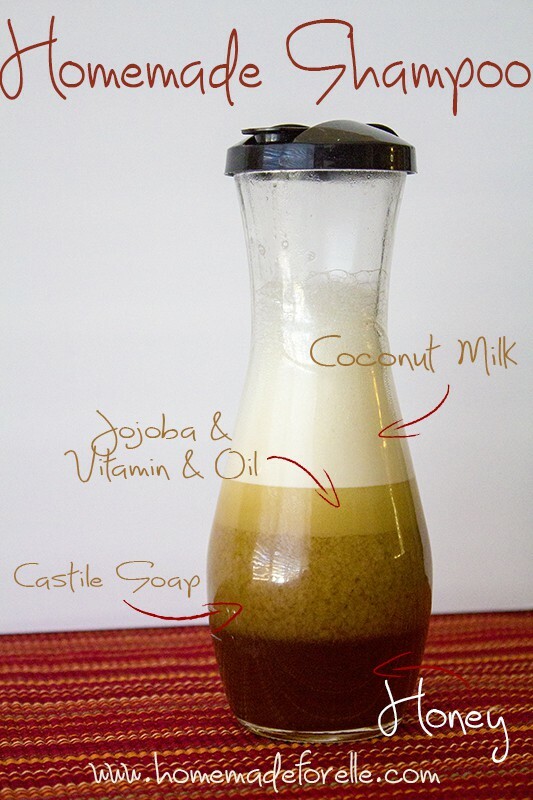 Have you ever made your own home made shampoo? Great shampoo recipe! I will definitely try it. I normally use organic shampoos that contain aloe vera and coconut oil, but unfortunately they are quite expensive. Thanks for sharing your experience, Stefanie. Hi Andrea! I have recently developed a scalp irritation from dry shampoo, I believe it’s also a mix of excema in my family and possible candida overgrowth… anyways, I’ve been looking for a diy shampoo recipe that’s antiseptic, clarifying and healing (I’m trying to slowly go “no poo” by alternating hair masks that soothe my scalp and store bought natural shampoos and scalp treatments). Do you have any ingredient suggestions to add to this recipe to relieve my symptoms? I have all the ingredients listed above (minus jojoba – substitute olive oil) and my own essential oils such as tea tree, rosemary, peppermint, lavender and eucalyptus. I’m going to just wing it today and try equal parts of all the oils I listed in the amount you suggested. And through all my research, your home made recipe looks the best, but if you have suggestions to help me tweak it for my condition please lmk! I will try out your recipe and I am very excited about it! If you have an advice for me on adapting the recipe for my hair it would be great. Indeed I have really really thin hair that makes them very fragile. Also it seems that usual shampoos tend to remove my natural protection that is suppose to cover my hair (says my hairdresser). When I wash them, even with a very little bit of usual shampoo, it makes them very messy. So do you think I should but less of soap in the recipe you gave? Hi Laura – yes, I think adjusting the recipe for your hair is a good idea. Please let us know how it works for you! what kind of oils can you use instead of the jojoba oil? Would you recommend this for oily scalps/ hair? Has anyone with wavy/curly hair tried this? I tried the no poo method a year ago and it didn’t work for me. Also, is this a 2-in-1? Or do you have another recipe for the conditioner? I haven’t found a homemade conditioner that works for me yet, but am still trying! You can even make shampoo with baking soda. That is also good for the hair. Does it go bad, just sitting the bottle especially with the coconut milk? I have had mine for a couple weeks in the shower and it was fine, but if you want to store it in the fridge between washings, that is fine too. Can you use this recipe on color treated hair? I honestly am not sure! I haven’t colored my hair in the past decade, so I have no experience with that. Maybe some of our other readers have some input? That’s awesome you’ve found something that works so well for you! Thanks for sharing! Just wondering why you boil the water? I made this shampoo and started using this about a week ago. I was super excited to try it, however my hair feels super greasy and has the “wet look” all the time. It feels like its weighted down with residue in it. It does lather wherever I first apply the poo. Is this normal??? How long should I keep using it before I see a difference? In my experience, hair takes 2 weeks to 2 months to transition when switching to a natural shampoo. And not every recipe will work with every hair type (for instance, I couldn’t use just baking soda as a hair wash… didn’t work, no matter how long I stuck to it!). so I’ve been trying to find the right natural hair solution for a while i have experienced issues with the baking soda route myself. i was wondering if i make more then one batch are there anyways to save it? like freezing? One of my other questions where, for people with naturally oily hair will the jojoba oil cause it to be more oily? im am very excited to possibly try this it sounds like it might be great! What kind of Vitamin E did you use? Is there something you use to condition your after you use this shampoo? Your recipe has a lot of the same ingredients that would be used in a home made conditioner, so I was thinking it can maybe work as a 2-in-1. I’ve been making my own shampoo since last July 2013. I love looking for new ideas to perfect my own recipe. 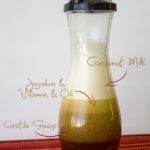 Have you (or any one else who’s tried this recipe) had any problems with the coconut milk going bad? Do you keep the shampoo in the refrigerator between washes? 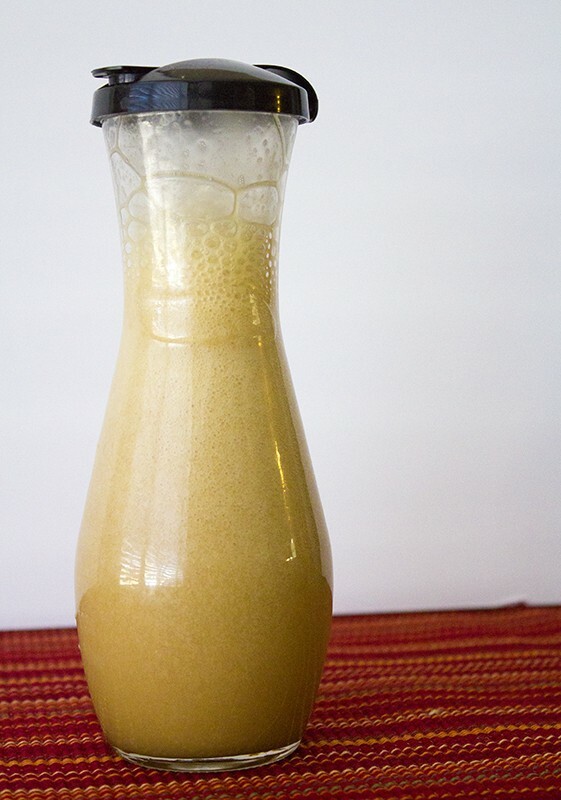 I’ve always wanted to add coconut milk to my homemade shampoo, but the idea of having to grab it from the kitchen every time was enough to keep me from trying it. That’s great that you’re using your own homemade shampoo! How do you usually make it? I have kept this for about a month in the shower (no refrigeration) and haven’t had any issues with it going rancid. If you decide to make it, let me know how it works out for you! Ah! This is awesome. I have not heard of using honey before. Does it make your hair sticky at all? Thanks for sharing this post. I was actually just looking for an organic way to shampoo my hair. I think everyone’s hair is different, so it may not be a recipe for everyone, but it did well in my hair. It didn’t strip the natural oils. For me, it wasn’t sticky or dirty, it combines with everything else and rinses easily. Have u thought of making a shampoo without castille soap ? I don’t know if u know but the Ph of it is actually too high for your hair which in the long run makes your hair dry out just thought u should know this I’m still on a look out for a all natural shampoo with no chemicals or soap in it most of homemade shampoo on the net have castille soap as the base because they need that ‘foam’ in their shamp And it’s the much healthier alternative to store bought shampoo but I would never use it due to the PH being way too high I’d rather use store bought untill I find the all natural shampoo I’ve been looking for because I’m sure they are the suitable ph because they are made for hair and the soap isnt. I have tried using just a baking soda/water mixture with an apple cider vinegar mix, and it didn’t work on my hair, but I know that all hair is different. I know that soaps don’t need to foam, but there is something psychological about the suds that makes a shampoo feel like it’s done its job. i have used home made soap for years to wash my hair and a 50/50 mixture of white vinegar and water. My hair is always soft and squeaky clean. I am 73 and my hair is still beautiful. 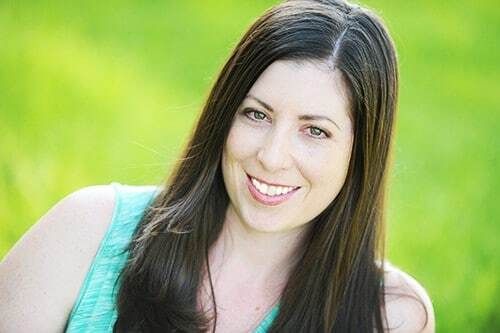 Hi Loraleigh – thank you for sharing your experience! Hey, great recipe. I was just wondering if you could use Grapeseed Oil instead of Jojoba. Great recipe, again! Love the organics. Yes Rose, you should be able to use grapeseed as a substitute. Hope you enjoy! This Shampoo recipe sounds so doable! Just gotta order the jojoba oil. I just cannot bring myself to no-poo. Ooooo, now this looks like a good one! I thought I made it through to the other side with the ‘no-poo’, but my troubles seem to be making a comeback, and I am READY for a new, non-toxic solution!! I tried “no poo” and it worked fine…I’m not even sure why I went back to commercial shampoo, though I do love me some lather! I may have to try this recipe! I’ve tried the “no poo” method and it just didn’t work for me. I have very fine, flat hair that needs lots of volume so I had to return to using store bought shampoo. I was just recently thinking of going the organic route but maybe I will give this a try first. Stopped by from the BYB challenge. I am going to have to try this. I have just started working with essential oils and making our own natural products. i’m very excited to find an easy shampoo recipe. Thanks for sharing. Can’t wait to try it. I’ve never made homemade shampoo or gone without using it. I’m just not there yet. However, I have tried using things like honey and coconut oil in place of hair conditioner with limited success. I bet with the different oils in there that the homemade shampoos can smell pretty amazing! Love the variety of essential oils you suggested to help your hair! Intriguing!! I also read somewhere just to just baking soda, I think… I have been too afraid to try. 🙂 At least there are a few good smells in this recipe – and it is a liquid.. I just might have to try it. Thanks for the post! This is so great! I make homemade hair masks with jojoba oil, coconut milk, and honey and other combinations/ingredients, but never thought to make my own shampoo! This is a timely post for me. I’m making my own body butter lotion and hard lotion bars now and next on the list is pouring my mix into chapstick containers that arrived not long ago. I have deodorant and shampoo on my “maybe-to-do” list. I also tried the baking soda/vinegar rinse and wasn’t satified with it. What I really want to know now is how long have you tried this diy shampoo and do you like it?